Mumbai, Oct 27 (IANS) The key indices of the Indian equities market traded on a high note during the mid-afternoon session on Friday. The two key indices — the S&P BSE Sensex and NSE Nifty50 — also record new intra-day highs. According to market observers, expectations of healthy quarterly results and buying support for the auto and banking stocks lifted the key indices. 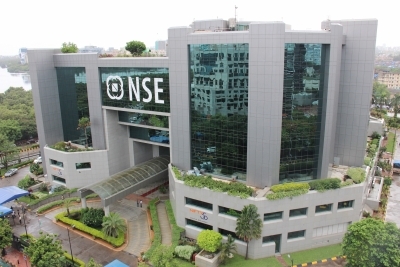 At 2.15 p.m., the NSE Nifty 50 gained 10.50 points or 0.10 per cent at 10,354.30 points. The Sensex of the BSE, which opened at 33,228.32 points, traded at 33,254.34 points (at 2.15 p.m.), higher by 107.21 points or 0.32 per cent from Thursday’s close at 33,147.13 points. The Sensex touched a high of 33,286.51 points and a low of 33,164.42 points during the intra-day trade so far.